San Francisco Bay Area housing peak, once again. 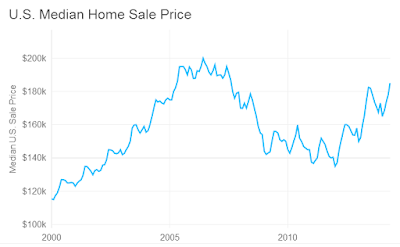 The median price paid for San Francisco Bay Area single family, condominiums and townhouses - hit a new peak for the region in April of 2016 - $686,000, surpassing the prior peak of $665,000 set in July of 2007. The median price of a single-family home in Santa Clara County hit million dollars for the first time lat month.